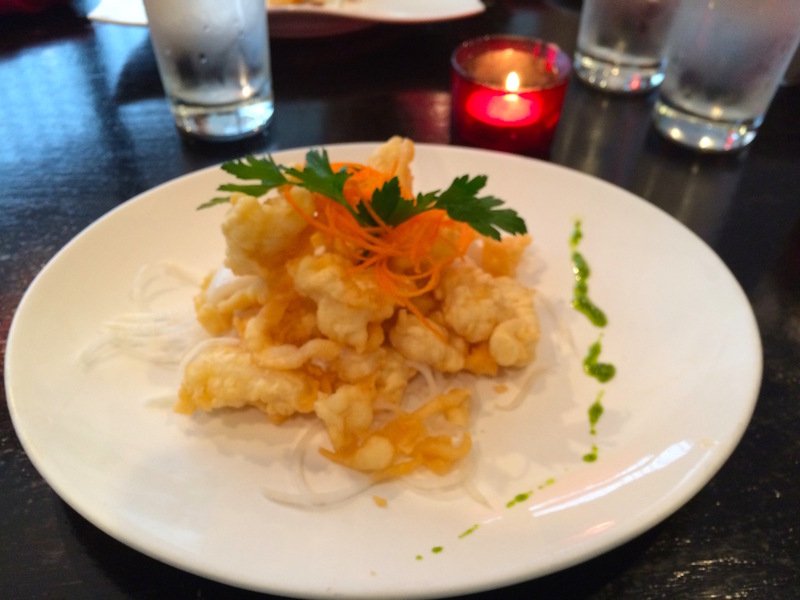 Sung Korean Bistro – Go There. Try That. 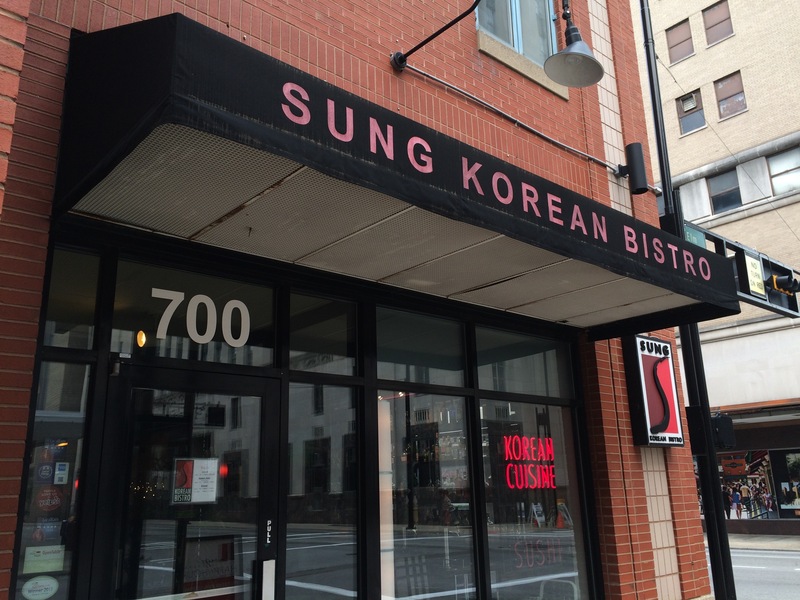 I’ve been to Sung Korean Bistro before, but what brought me back recently was their support of CityLink Center (a faith-based city-wide initiative to help the working poor). 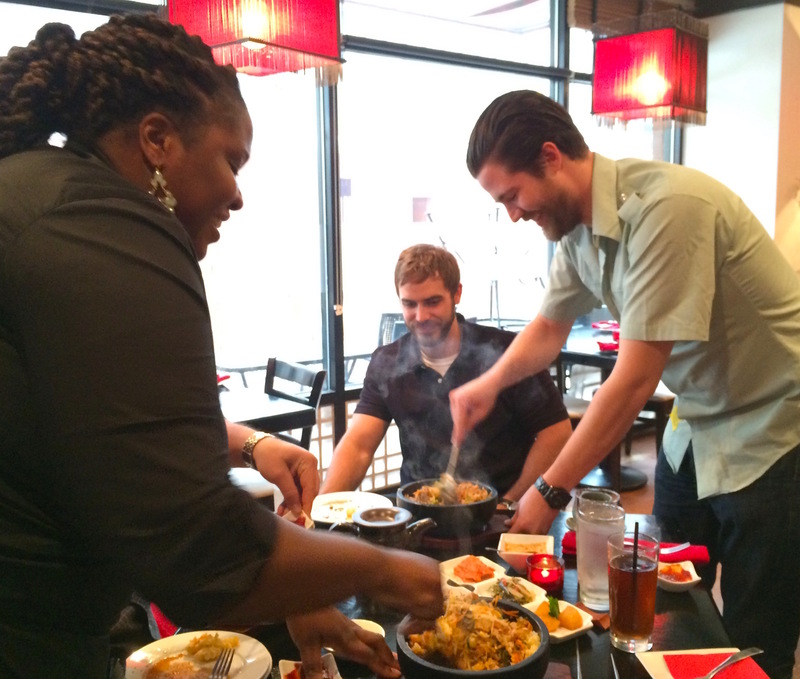 On this particular night, by ordering a Stone Bowl, proceeds from our meal would help take a bite out of poverty! Win-win situation if ever there was one! 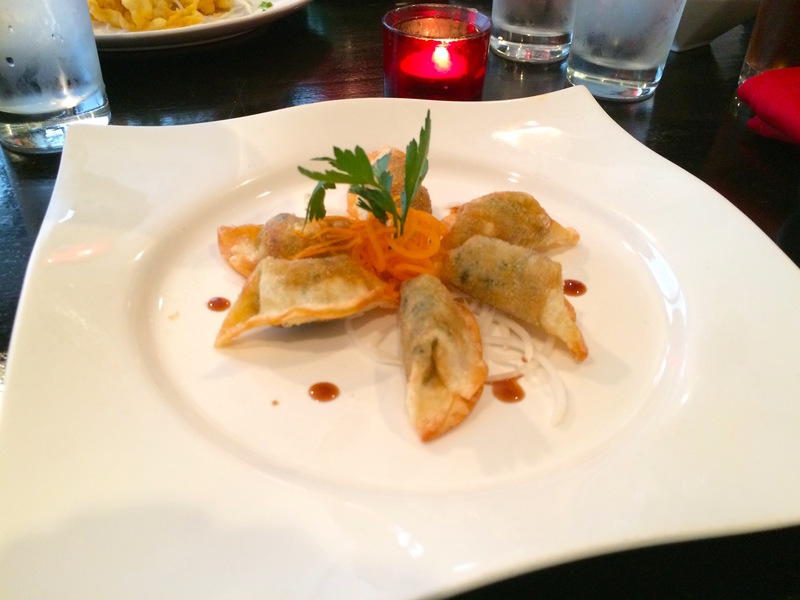 For appetizers, using the waiter’s recommendations, we started with the Goon Mandu (six pieces of deep fried vegetable dumplings stuffed with tofu, scallions, onion and cabbage) and the Ojingau Tueegim (wheat flour battered deep fried squid). Of the two, I think we appreciated the squid more simply because the batter was light enough that the squid was not overpowered. We all agreed though that the sauce, a combination of soy sauce, vinegar, sesame oil, sugar, and red pepper belonged on everything! My recommendation, ask for extra! Traditionally, in a Korean restaurant, before the main dishes arrive, the table will be served a variety of sides to share. At Sung Korean Bistro these are kimchi, seaweed, caramelized potato, sauteed mushrooms, spicy cucumber, and dried radish. Depending on the Korean restaurant, these sides might be slightly different but are similar in nature. Now, to me, kimchi, a spicy and sour cabbage, is an acquired taste that I haven’t quite acquired yet. The caramelized potatoes are actually a little sweet and very nice. The mushrooms are mild and earthy- again, served cold. I think my favorite of all the sides though is the spicy cucumber. It’s light and refreshing- sweet, spicy, and tangy! I love the combination of cucumber, garlic, Korean chili powder, vinegar, and sugar. If I’m honest, I think the only side that didn’t get finished by the three of us was the dried radish. Just not my thing, but I’m sure there are those who love it! In regards to main dishes, my favorite, by far, is the Bibimbab. Now, Bibimbab, which includes rice, spinach, bean sprout, carrot, zucchini, radish and lettuce topped with an egg sunny side up, can be served either in a ceramic bowl or in a hot stone bowl (this is called Dolsot Bibimbab). Both provide the choice of beef, chicken, pork, or tofu and are served with Go-chu-jang (Korean spicy chili bean paste sauce) on the side. The Go-chu-jang can be made mild, medium or hot depending on diner preference. 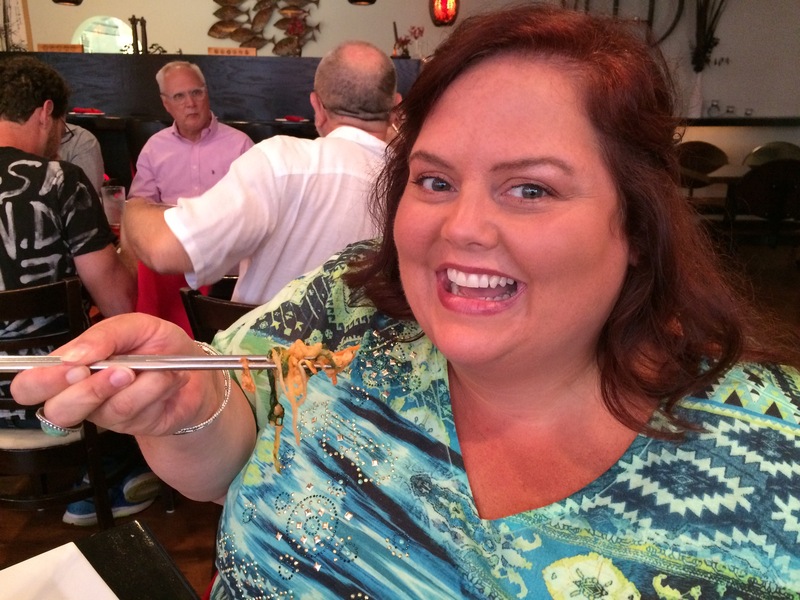 If, as you eat, you’d like it spicier, just add more! While both bowls are similar, I say Dolsot all the way! I love how the stone bowl comes out hot and sizzling and the servers help you stir up all the veggies, rice, egg, and meat. Essentially, the food finishes cooking in the bowl (I get excited when I get the little crispy pieces of rice on the bottom)! Between three of us, we had one tofu, one pork, and one beef. They were all good, but the overall favorite was the pork! Honestly, Doltsot Bibimbab is the reason I go to Sung- it’s the star of the menu! To put it way too simply, it’s an elevated version of a layered, complex, delicious fried rice. 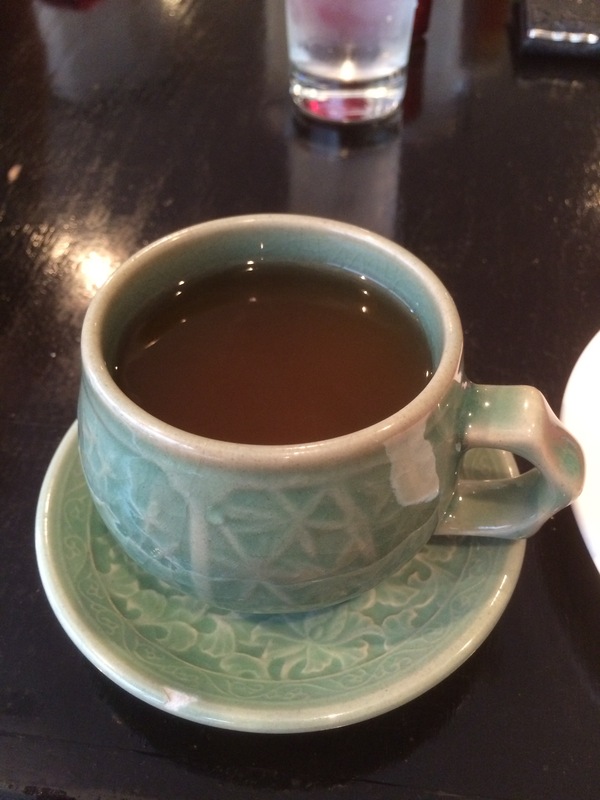 My husband really enjoyed the Ginseng hot tea. He thought its unique taste complimented the meal. He tried to get the name of the tea from the servers, but that didn’t happen. All he was told is that it’s a special blend (maybe it’s one of those if we tell you we have to kill you situations). I guess you’ll have to order it when you go. I love hot tea, but to me, I liked the hint of sweetness, but could not get past the “bite” at the end. It was certainly interesting! Overall, great meal with my husband and a dear sweet friend of ours all while supporting a cause we love! Tip: there is a parking lot directly across the street (this restaurant is located downtown). 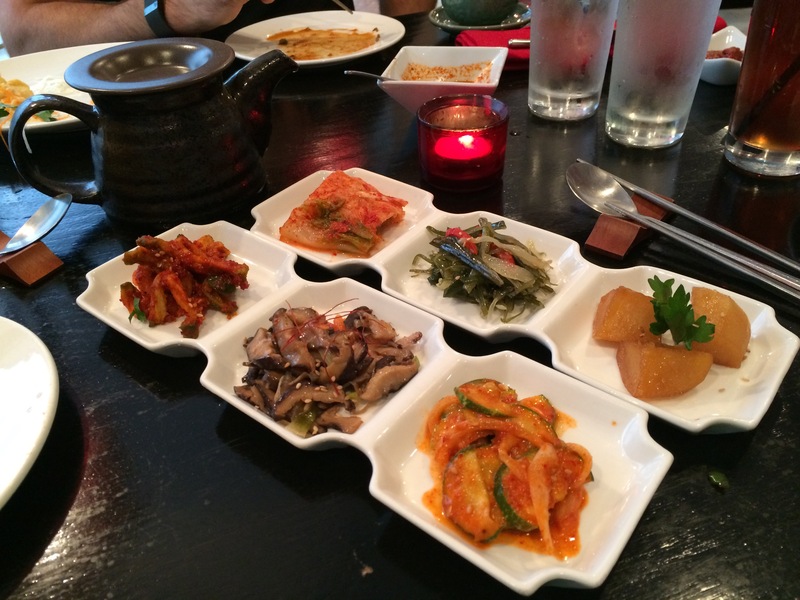 GO THERE (Sung Korean Bistro)! 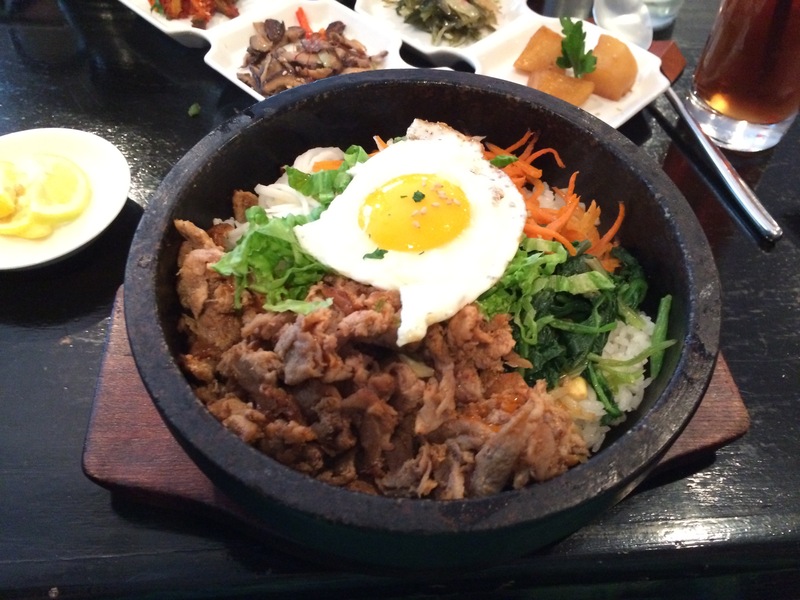 TRY THAT ( Dolsot Bibimbab with pork)! Sorry I couldn’t make it there with you. It looks DIVINE! We can definitely go sometime!